Following earning a Ph.D. from Princeton University, Dr. Moorcroft committed over 45 years of his life studying and researching sleep and dreams. During this time he did additional sleep disorder training at The Mayo Clinic and Rush Medical College in Chicago. He has authored four books, many research papers, and numerous other publications. More recently, he brought his dedication and experience into the world to help people with their sleep problems. Dr. Moorcroft knows how find what is wrong with your efforts to sleep and how to turn them around in a matter of weeks. Dr. Moorcroft was a Psychology professor at Luther College in Decorah, Iowa from 1971 through 2002. During this time he focused his attention on sleep and dreams by doing research, writing books and articles, and teaching about this area. 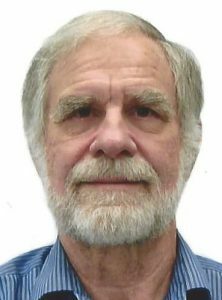 Since retiring from teaching in 2002 Dr. Moorcroft founded Northern Colorado Sleep Consultants, LLC in Fort Collins, Colorado and is currently its chief consultant. He focuses on treating people with insomnia or nightmares and children with sleep problems. He also offers workshops and presentations on all aspects of sleep, dreams, and sleep disorders. Dr. Moorcroft is the author of four widely used books on sleep and dreaming. 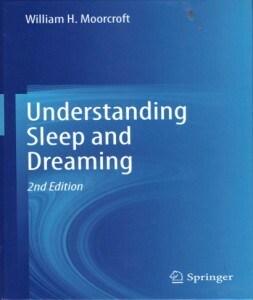 The most recent, Understanding Sleep and Dreaming, 2nd Edition, is available from Springer Publishers. He has a new book Mindfulness for Insomnia: A Four-Week Guided Program to Relieve Stress, Relax Your Body, and Get the Sleep You Need scheduled for publication in July 2019 from New Harbinger Publications co-authored by meditation expert Catherine Polan Orzech. He has been developing this treatment over the last several years. In addition he has published extensive research and articles in sleep. Among the most recent are The Sleepless Child for Sleep a chapter in A Comprehensive Handbook and Sleep Hygiene in the Textbook of Polysomnography. Bill is listed in Who’s Who. “Sleep … Are you getting enough?” at Colorado State University.